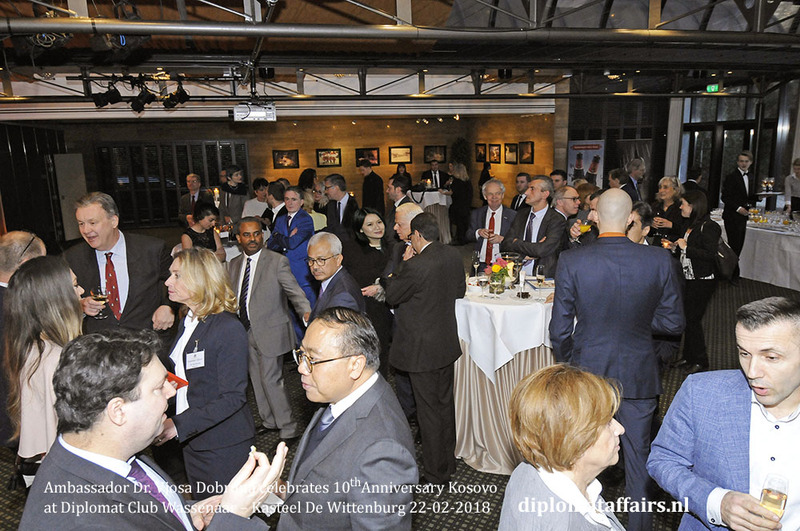 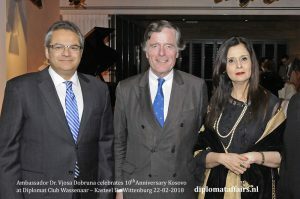 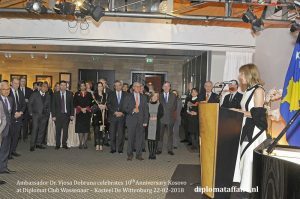 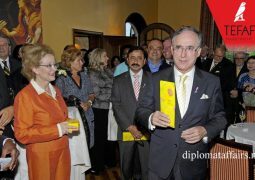 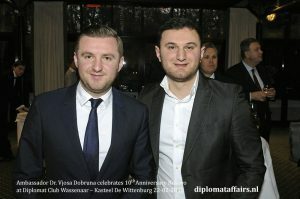 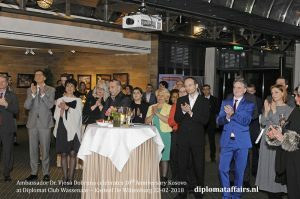 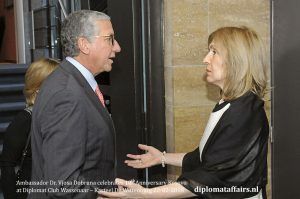 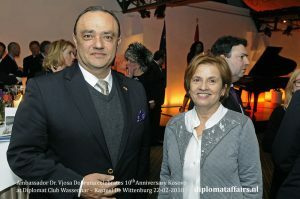 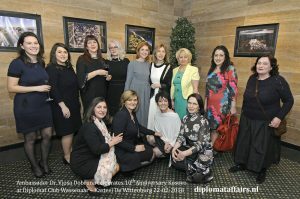 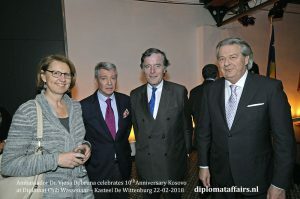 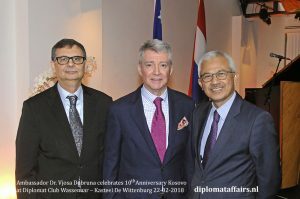 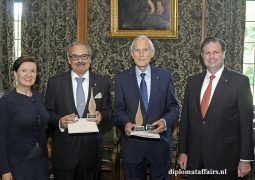 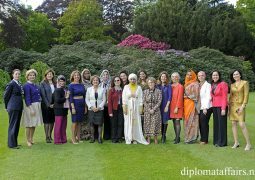 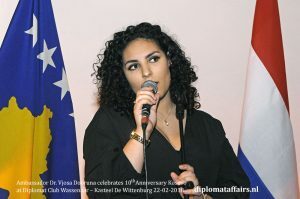 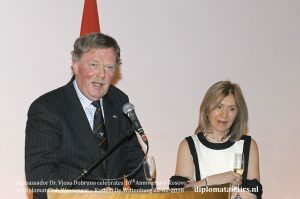 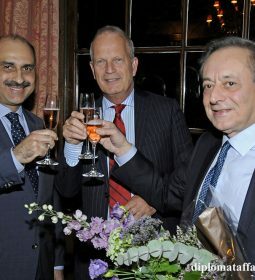 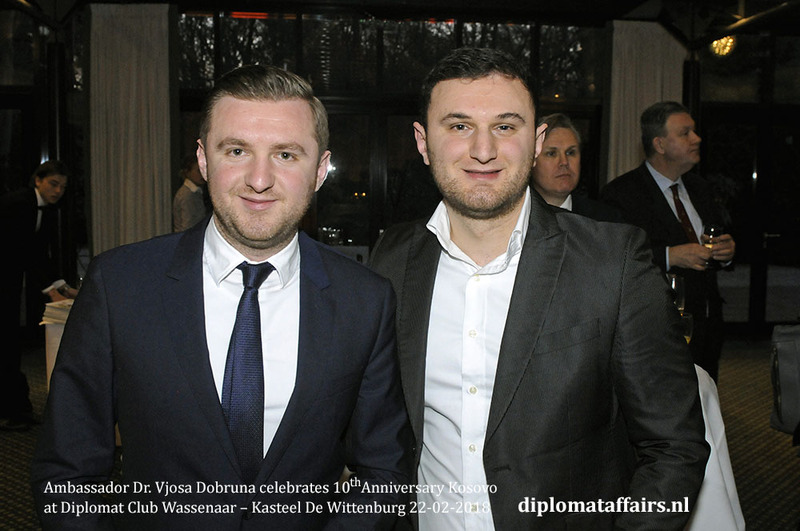 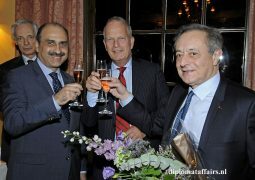 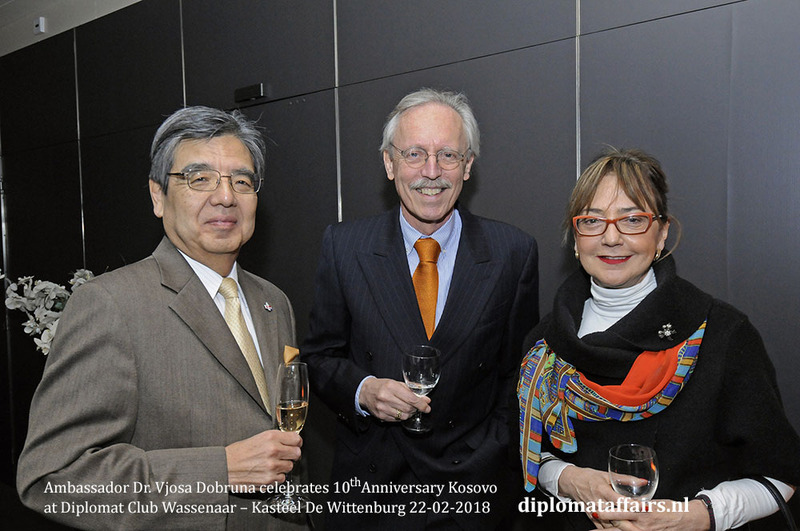 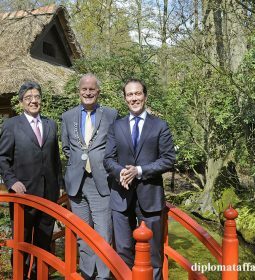 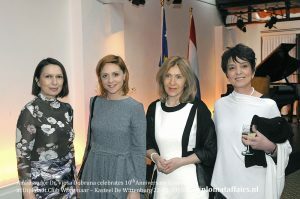 On a sunny but chilly February evening, the Corps Diplomatique, business contacts, artists, students and the Kosovar diaspora gathered at Diplomat Club Wassenaar – Kasteel de Wittenburg for this big celebration. 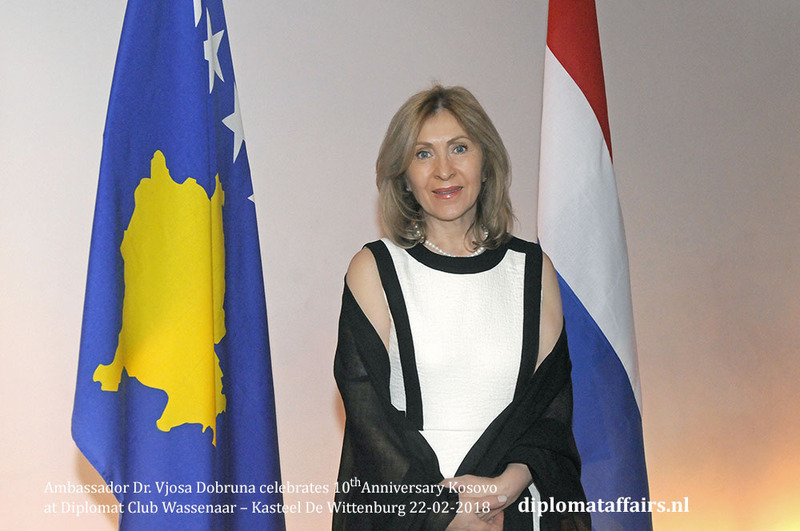 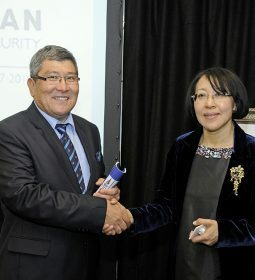 Her Excellency Ambassador Dr Vjosa Dobruna, stunning in black and white, cordially welcomed the guests to the castle ballroom surrounded by photographs depicting the natural landscape of their country. 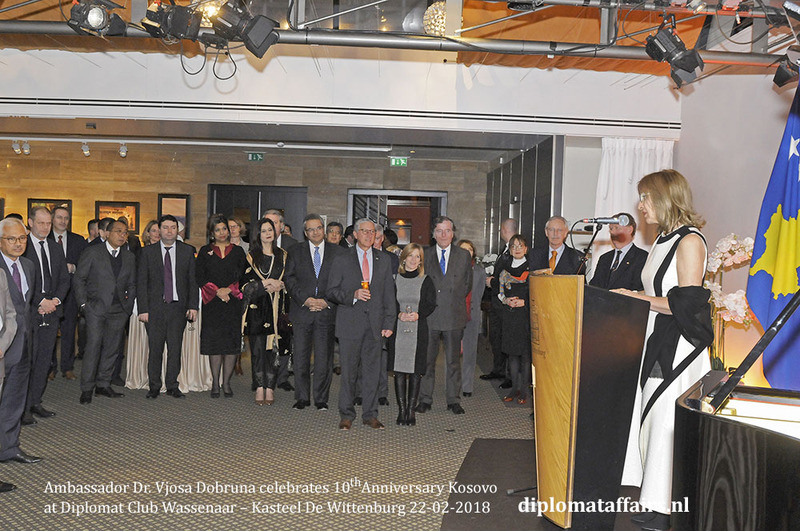 The atmosphere was festive with the many Kosovar and Albanian delighted to enjoy and introduce the rest of us to their home-produced red and white wines and their beer “Peja birra’. 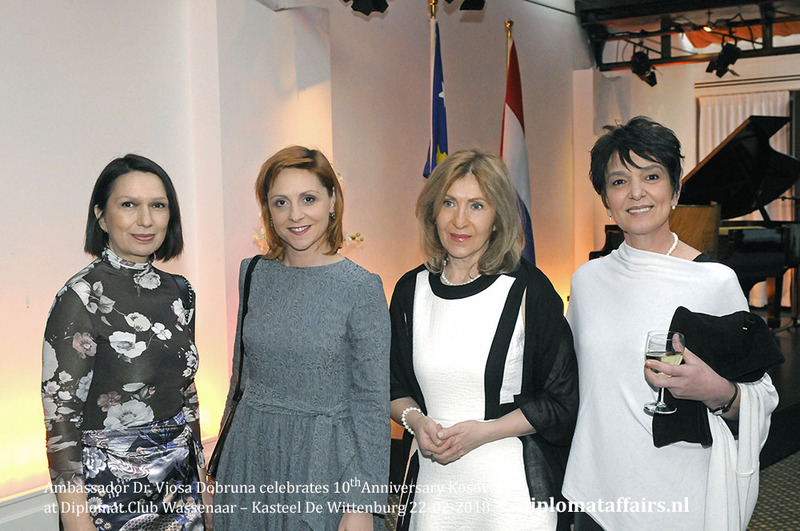 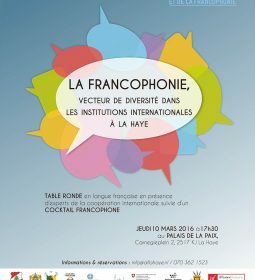 There are around 10.000 Kosovars in the Netherlands and they form the second best integrated group, with a very active Association in Dordrecht including a Women forum of over 500 women. 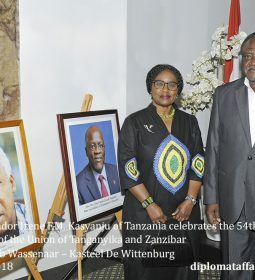 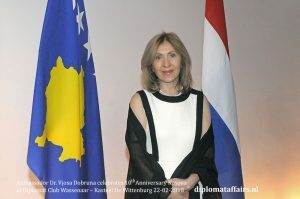 Her Excellency expressed her heartfelt gratefulness for all those present to celebrate the 10th Birthday of Kosovo which declared their independence at 15:39 on February 17th, 2008. 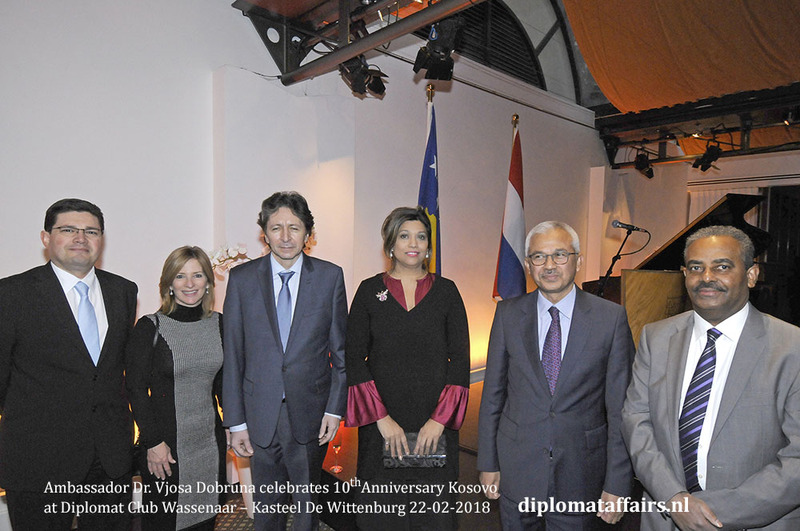 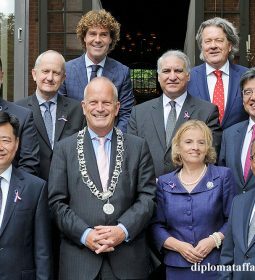 It is also the occasion to celebrate the 10th anniversary of Dutch-Kosovo Diplomatic relations, the Netherlands having been one of the first countries to recognise the new state. 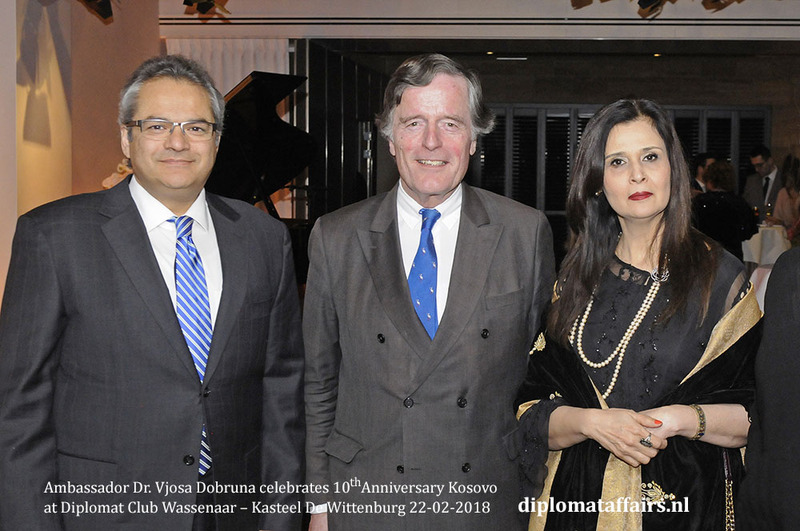 As the Ambassador stated: “the process has been long and challenging” and they were grateful for the support they had received from other countries such as Germany, the UK and the USA and the Kosovar diaspora. Kosovo has been recognised by 117 members of the UN and she was grateful that now Kosovo was no longer so visible on CNN but more so on MTV thanks to artists like Rita Ora and Dua Lipa and the Olympic success of their athletes. New Honorary Consul and former Ambassador of the Netherlands to Kosovo Mr Robert den Bosch took the floor to explain how motivated he was to accept the position. 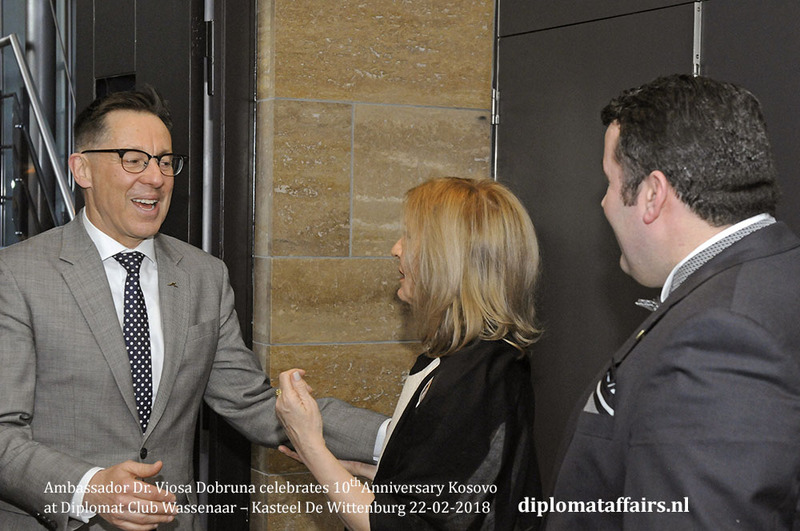 As he said, Kosovo is still “treated badly” by some and faces the challenge of having the youngest population in Europe and an unemployment rate of 27%. His mission is to dedicate himself to stimulating trade, to creating jobs and he invited all guests present to also make it their mission to increase trade with Kosovo. 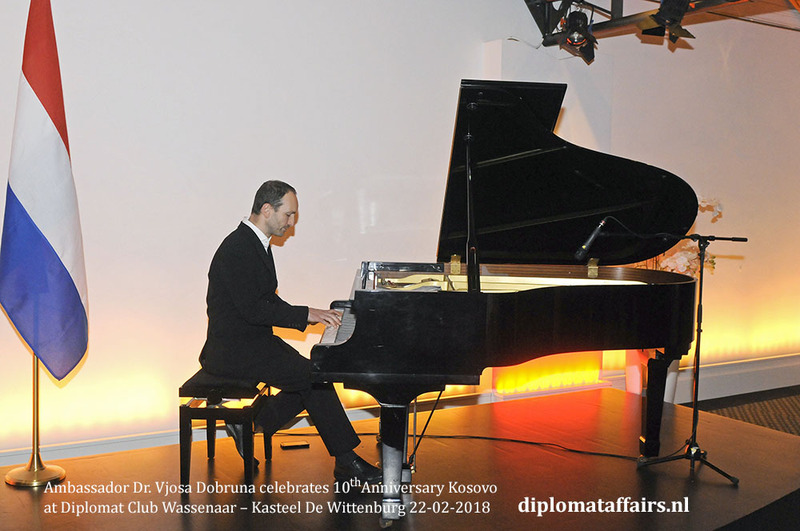 We were then treated to a beautiful performance by 2 Kosovo/Albanian artists, on vocals and piano. The chilliness of the evening had by then been entirely replaced by the genuine warmth in the room. 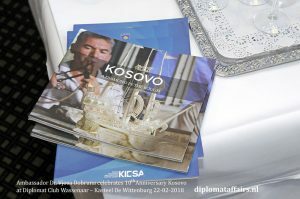 Happy 10th Birthday Kosovo!